A glass-filled nylon front scale provides enough texturing for a reliable grip while the steel back allows the blade to lock into place with a frame lock. Built into the rear of the knife is an integral pry bar that works flawlessly and quells the temptation to use the blade to pry. When you carry the Barge, it’s a win-win situation. 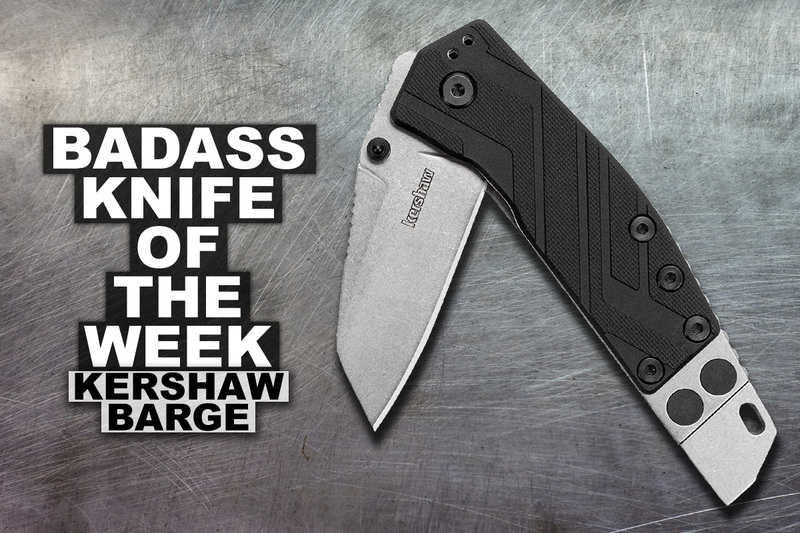 For more info on this Badass Knife of the Week, see the product page for the Kershaw Barge.